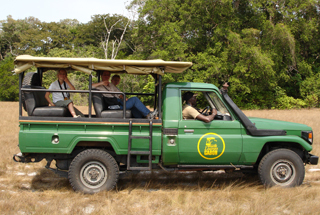 You can discover the National Park by going on few safaris. 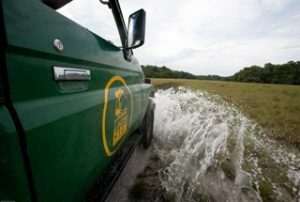 Game drives in a 4×4 jeep are an easy and comfortable way to view the park and see wildlife such as buffalo, elephant, red river hogs and sitatunga. 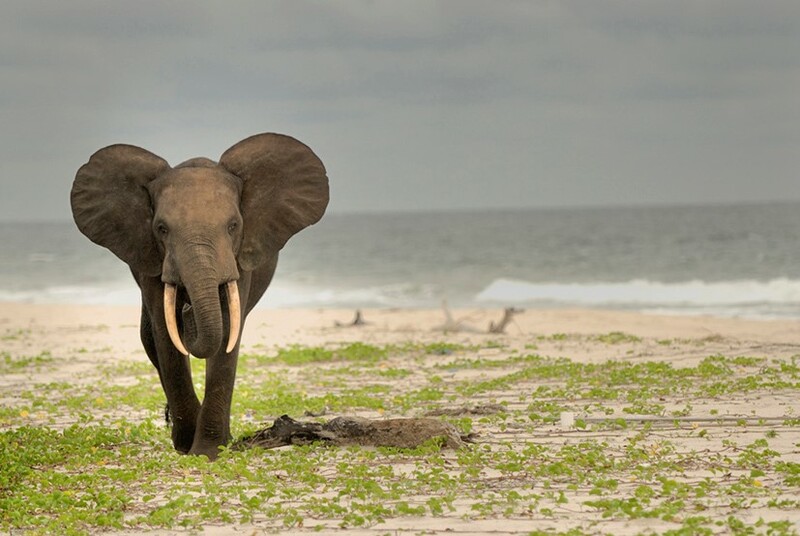 In the rainy season from November to April, you can find large mammals roaming freely on the beach. 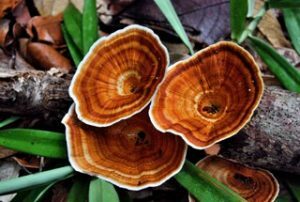 From the lodge, you can go on a cultural walk to the nearby village or the ‘Operation Loango’ school, which is sponsored by Africa’s Eden’s sister company ‘Société de Conservation et Développement’. Please note that sightings cannot be guaranteed and this excusion is not included in the cost of this programme. The point where the lagoon empties into the ocean contains some of the largest game fish in the world, making it an ideal spot fo fishing – and only 10 minutes by boat from Loango lodge! 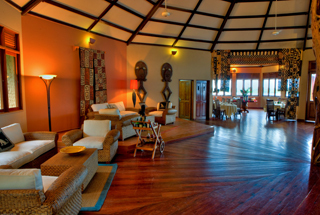 Loango Lodge is base camp for the Wildlife Conservation Society (WCS). 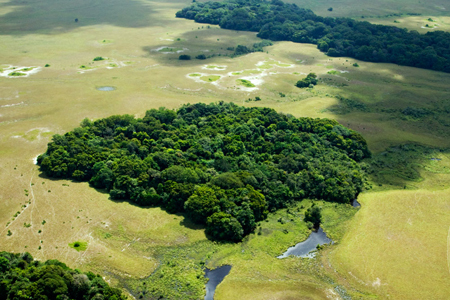 WCS is engaged in a collaborative venture with SCD (Societé de Conservation et Développement) in Loango National Park, a unique effort to bring the private sector and an international NGO together to achieve a series of key conservation activities. WCS is partly funded by Africa’s Eden tourism revenues and is active in conservation, monitoring, surveillance, and research activities in the park, all aimed at maintaining the long-term integrity of this ‘window into the past’. The researchers are happy to give a presentation about their activities in Gabon, and/or simply to chat about what they do over drinks/dinner. Akaka Forest Camp, Evengué Lodge & Fernan-Vaz Gorilla Project, Tassi Savannah Camp, Pte. Ste. Cathérine Beach Camp.